You’re new to the OILS and you got your kit but you don’t know what to do now, how do you incorporate the oils into your daily life as a newbie? If you purchased the Premium kit, you have a Home diffuser. You also have the 9 Everyday Oils (which are meant for everyday use) and some StressAway. Why not start out with the StressAway in the diffuser? Put some distilled water into it, up to the fill line and from 8-12 drops of oil in there, plug it in and turn it on. Wha-laa…. you’re on your way! Use the diffuser any time you would use a traditional air freshener or anytime you want to dispel a bad odor. You can use any oil you want to, but purification is an oil that traditionally removes bad odors. Any time anyone in the family feels under the weather it is a good time to diffuse Thieves or Frankincense. If the children (or momma or daddy) are acting grumpy or bickering, Peace & Calming or StressAway are great choices. Nap time? Lavender is relaxing. Maybe it’s homework time, in that case either lemon or peppermint are great choices as some people find those stimulating. 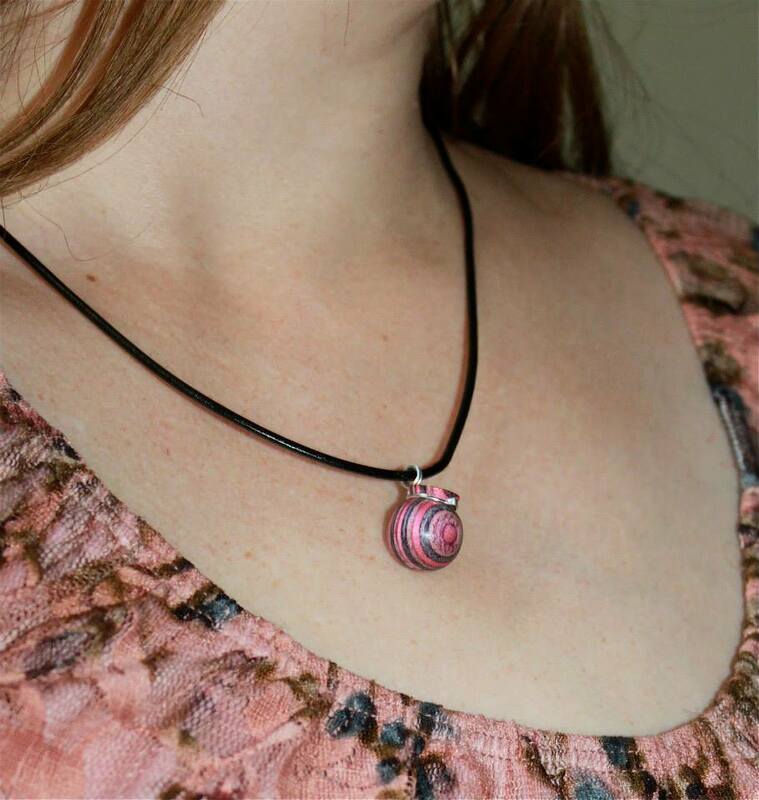 Some people love diffuser necklaces to keep the scent of their favorite oil close all day long without repeated applications. Here are some of my favorite diffuser necklaces. My friend and mentor, Carla Hartley, Founder and Director of Ancient Art Midwifery, the premier and supreme midwifery education institution, has nick-named these the “Pot-necklaces” because of the little “pots”. These are hand-made one-of-a-kind wooden diffusers that are both incredibly beautiful and also very useful. Reminds me of Winnie the Pooh with his “useful pot to put things in”. 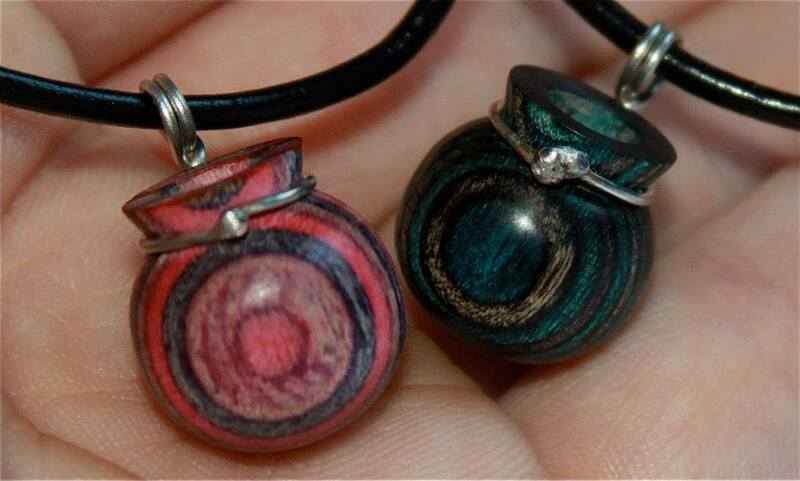 Find these “pot-necklaces” from my friend Eric here. Another way to use essential oils is to apply it directly to the skin or affected area. Cuts, burns, bites, stings, scrapes….anything skin-related calls for Lavender (my first choice) or Purification. One way to use essential oils topically is inside personal care products and home care products. There are a variety of recipes here and there is a PDF of recipes attached at the bottom you may download. Just be sure when using pure oils that you use glass containers as the oils will eat through plastic or leach the chemicals contained in them into your product, which you don’t want. Along with inhalation and topical application, you may choose to ingest essential oils either for simple taste or for health boosting properties. (My usual disclaimer is that I would not ingest any oil that is not medicinal therapeutic grade from a reputable company such as Young Living, that is involved from the seed to the seal of the product.) If an oil is safe for ingestion, it will say so on the label, providing both directions for its use and nutritional information. There is a little area on the label of Young Living bottles that you may peel back for this information. You can also check the Essential Oils Desk Reference for ingestion information/directions and the Young Living website. I always have one of the citrus oils in my drinking water both for taste and well-being. They may help to regulate the body’s ph to a more alkaline state. Sometimes it is better to put an oil under the tongue, or just inside your cheek for absorption, or you could swab the inside of your nose or use in a neti-pot. Another little-known fact is if an oil is NOT safe for ingestion then it is NOT safe to be applied to your skin or inhaled either. When you inhale something it goes right straight into your limbic system and is able to cross the blood brain barrier. When you apply something, it is also absorbed into your body/blood stream. Consider the medication patches available. Another way to use essential oils which could be considered either topical or internal is with the use of suppositories. The colon absorbs things readily and efficiently, as it has a highly permeable wall. It is even better than the digestive system especially when it is compromised/not working correctly as is the case many times (ie: leaky gut syndrome). It is also a method better for younger children that are not able to swallow a capsule. Be sure to dilute oils for use in young children. If you are in doubt as to which ones need dilution, consult a health practitioner or check the Essential Oils Desk Reference. Some recipes for personal care products can be found in this pdf below.